In Croatia a lot of farmers are happy to give you their sheepwool because they don't know what to do with it. But we do!!! In the wool workshop you will definitely fall in love with wool, like I did some years ago. It is such a great multi purpose material! 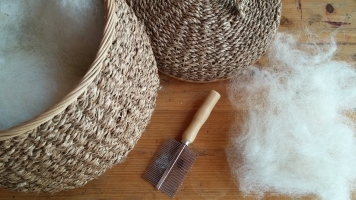 You can make clothes, scarves, socks, toys or decorations with it, insulate your house or your shoes with it, put it in the bottom of your raised garden bed and use the grease for great hand creams. - needlefelt it (with special fish hook felting needles) into something nice. 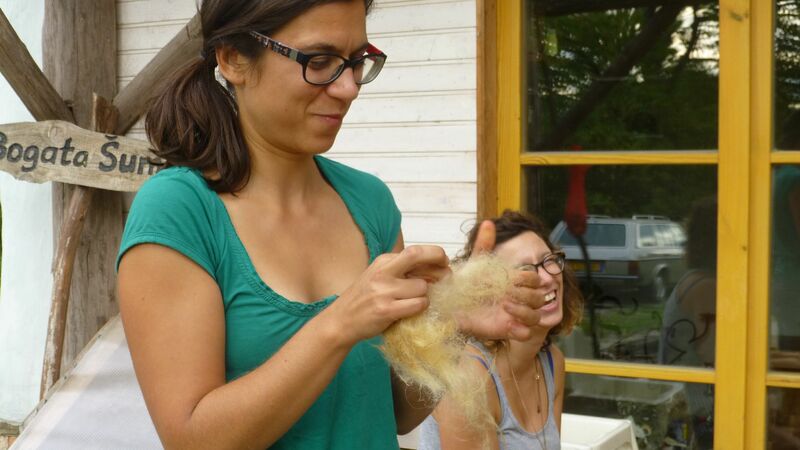 Including tea, cookies & a fresh organic lunch from our garden, and wool for your project. 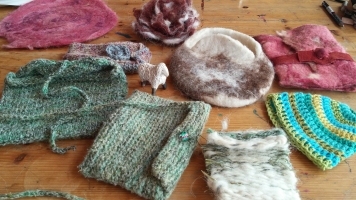 Follow Barbara's sheepwool board on Pinterest!